The colors of autumn can be seen reflected in a waterfall along the Blackberry River in Canaan, Connecticut. This post is part of a series examining the connections between nanotechnology and the top 10 trends facing the world, as described in the Outlook on the Global Agenda 2015. 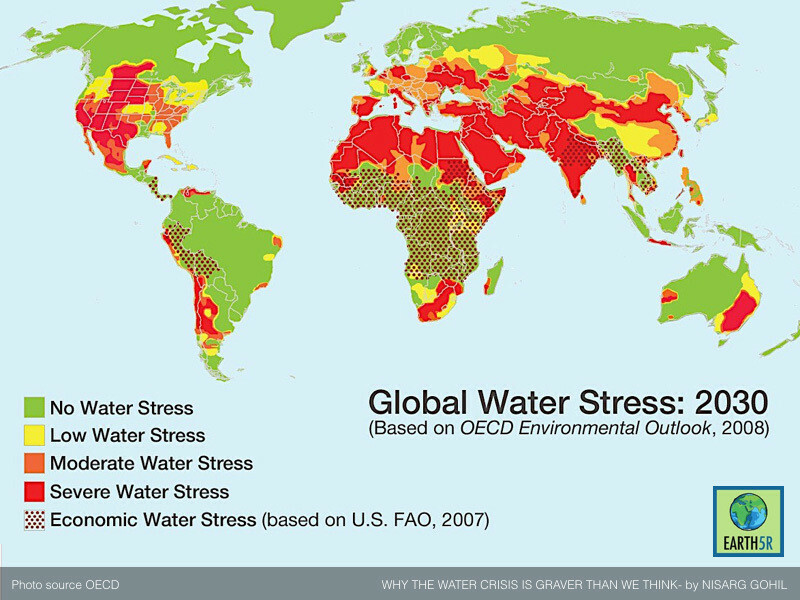 Fortunately some recent developments in the ‘wonder material’ graphene may change the economics of water. One of the major challenges in the commercialisation of graphene is the ability to create large areas of defect-free material that would be suitable for displays or electronics, and this is a major research topic in Europe where the European Commission is funding graphene research to the tune of a billion euros. Simultaneously there are vast efforts inside organisations such as Samsung and IBM. While defects are not wanted for electronic applications, recent research by Nobel Prize winner Andrei Geim and Rahul Nair has indicated that in graphene oxide they result in a barrier that ishighly impermeable to everything except water vapour. However, precisely controlling the pore size can be difficult.